The countdown is on! Soon I will be joining my son and a small group of other students on a school exchange trip to Noumea! My first trip out of the country since America in 1993, and trust me, I feel like I'm a beginner at overseas travel all over again. 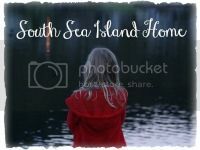 Never mind the intrepid traveller I once was through war zones, refugee camps, remote Indonesian islands, the busy streets of Taiwan and Bangkok and Singapore to be followed by University and work in America, I am a different person to that girl of 20 years ago. Now I'm looking through the eyes of a seasoned adult and a Mum. New passports, new luggage, new bathing suit and the cellphone has been invented! 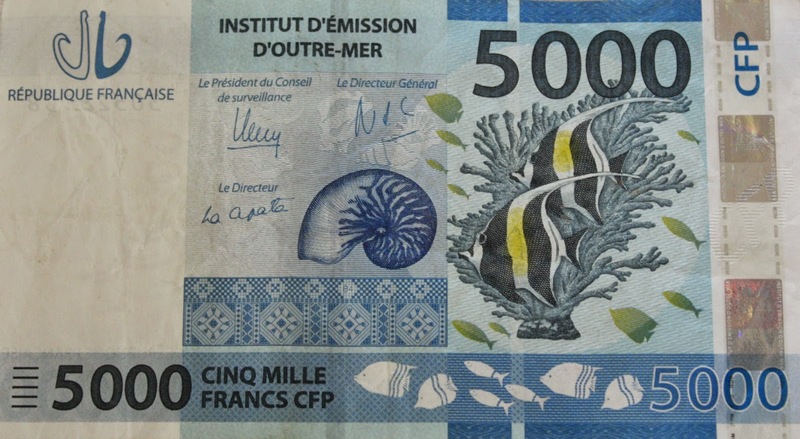 We had to go and order our CFP Francs from the bank early because it takes a week to arrive. CFP stands for Comptoirs Francais du Pacifique. 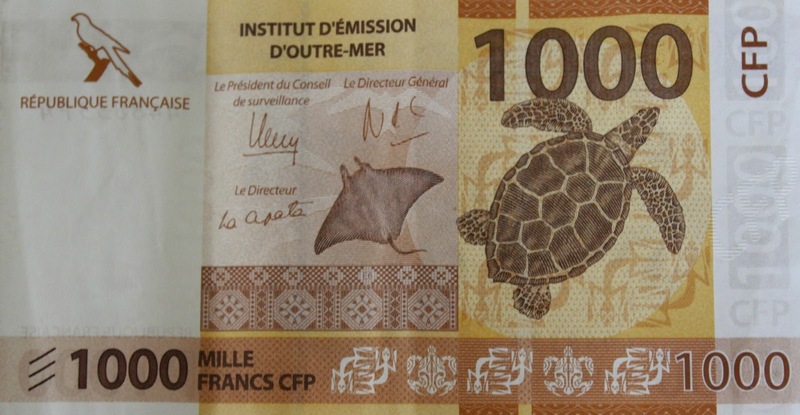 It is a French currency especially designed for the French Polynesian territories. On some currency converters it is listed as XPF. 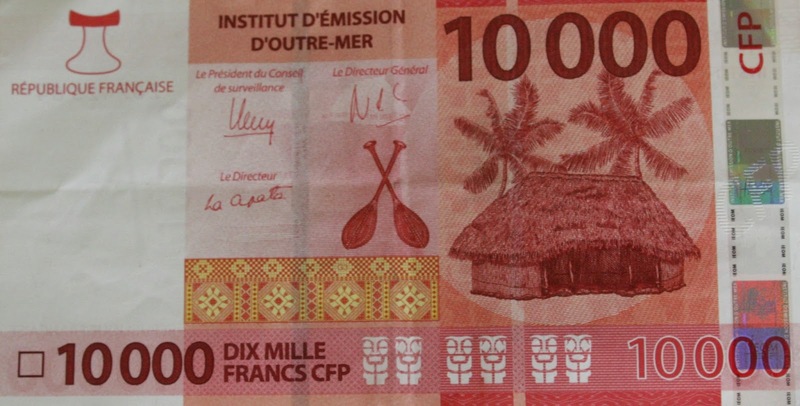 The highest banknote is 10 000 francs. This can get very confusing of course. It might make you feel very rich for a little while to be holding what seems to be a large amount of money in your hands, but in reality, the 10 000 franc is worth approximately (depending on exchange rates) $133.00 New Zealand dollars. 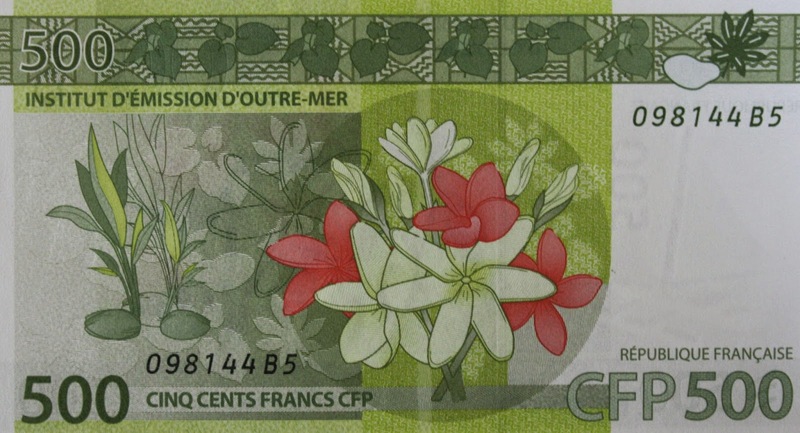 The New Caledonia Francs are very beautiful! And I think the 500 CFP has to be my personal favourite note. Isn't it pretty! There is a coin system too, although I don't have any on me at the moment. The currency has had an overhaul this year, bringing in new notes - so I am unsure if the following is current. CFP Coins - I am rounding these down to the nearest hundred. Eg, 100 CFP is approximately $1.33 NZ, but to keep it simple I'm rounding it down. The coin system may be more simple to keep track of, as it is fairly similar in value to our own currency. Well, I'm looking forward to spending all that money on French food and souvenirs to bring back for my family!